Made of elegant heavy brocade fabric, this challah cover is uniquely cut to an oval shape with scalloped edges. 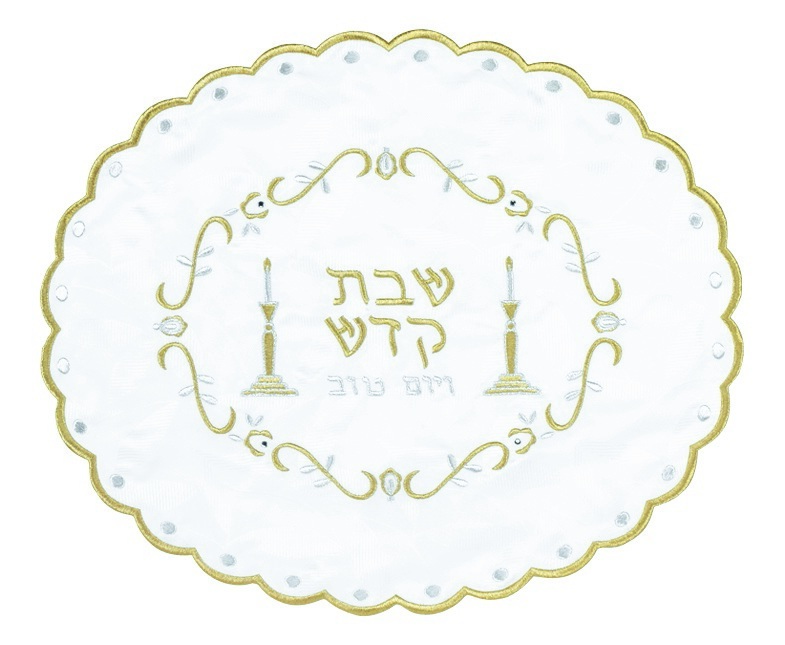 The Hebrew words “Shabbat Kodesh V’Yom Tov”, which means “Holy Shabbat and Yom Tov”, are embroidered in center with candlesticks on each side. The challah cover has a neat gold trimming along its edges.